Being based in Perth (GMT +8), I have always thought it made sense to have our servers running in the Australia/Perth timezone (rather than UTC). This makes sense for many reasons, mostly that when we set up a cron job, we can use local time (rather than UTC), which makes life very easy. Recently our Rackspace Cloud servers and Amazon EC2 instances (both running CentOS) were rebooted after updating the glibc package, which caused each server’s timezone to revert back to UTC. To set the timezone, I had always created a /etc/localtime symbolic link pointing to /usr/share/zoneinfo/Australia/Perth, however it turns out that there is one other thing that has to be done in order to make the timezone setting be persistent across updates and reboots. Luckily, the solution was hidden away in the AWS user guide. In addition to the symlink, it is also necessary to edit the /etc/sysconfig/clock file, and change it to your local timezone ( in my case ZONE="Australia/Perth" ). After making both of these changes, be sure to reboot your server, and then use the date command to check that your server is still in your local timezone (rather than UTC). In August 2012, Rackspace announced that they were working on launching an Australian datacentre for their cloud offerings. 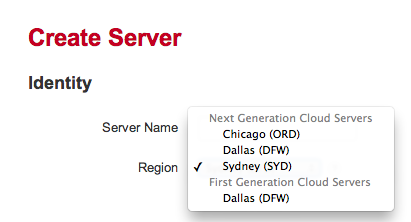 Rackspace now have datacentres in 9 locations, including Australia, the UK, Hong Kong, and the USA. I’ve invested many hours in AWS’ offerings, so I’m not planning on switching to Rackspace Cloud any time soon, but it is great to see more competition in the Australian-based cloud industry. (AWS launched their Sydney datacentre in November 2012).